5 Happily Ever After Stars. 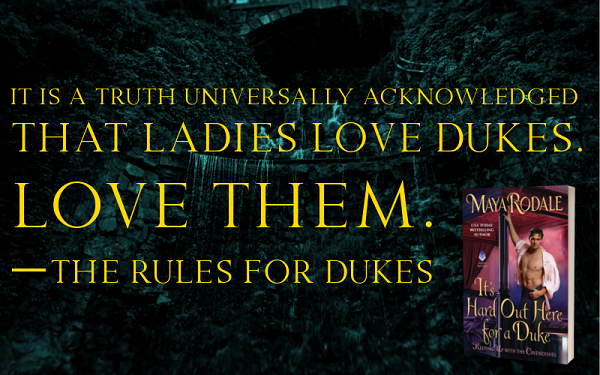 It's Hard Out Here for a Duke could be read as a standalone, offering no confusion, but I would advise against it, as that would hinder the emotional response in the reader. Over the previous three installments, readers have connected to the American-born aristocrats, and knowing the little details made the story more worthwhile. 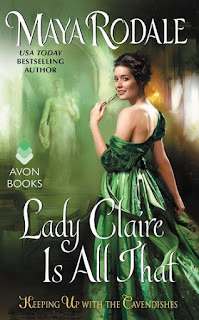 Readers have been waiting since hints were dropped throughout the entire series about James' fixation on the dowager duchess' companion – Miss Green. A lot of behind closed doors interactions were caught by naughty, annoying little sister's during their books, of Meredith and James in compromising positions, and now it's time the story was told. The novel spans the entire length of the series, predating the first novel, almost giving off a prequel feel. James' narration begins before they hit London, because he was hanging onto his old life for as long as humanly possible. Until he set foot on his new property, he wasn't yet a duke. Just James... and Meredith was just a girl. If you're a fan of the series, I don't need to spell it out, and if this is your first glimpse of the Americans hitting the ton by storm (go back to book one), then I don't wish to ruin the plot. Push-pull. Will they-won't they. Rodale makes the characters earn it, taking the reader along for the ride. The payoff is well earned with a happily ever after. James is now a duke, with a duty to uphold. Three sisters to place first in his heart, and an entire dukedom to put ahead of his own needs and wants. The last thing he needs is a scandal, which is hilarious if you read the previous books. Snorts. Meredith is in a position that places her at the sidelines, not royal enough to fit in as a peer with those she interacts with, but too educated and composed to be allowed companionship with the servants. Where does she fit in society? Why does she feel as if she deserves more, wants more, than to worry about her dementia-addled mother as she keeps the dowager duchess company? James and Meredith have a spark that ignites whenever in each other's presence, a hard to deny connection, easy enough for others to see. While I enjoyed their interactions, I found my heart galloping with glee when it came to James interacting with his sisters – it added a layer of levity to a novel that could have become too melancholy and angsty of a story without it. 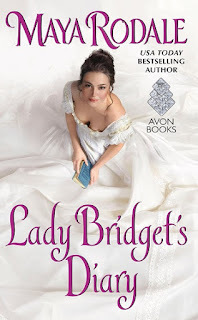 I read It's Hard Out Here for a Duke in a single sitting, from start to finish, and by the time the dowager narrated the epilogue, I was teary-eyed from the most final of happily ever afters, for the entire Cavendish clan. I highly recommend this book/series to fans of the author, and readers looking for a humorous yet emotional journey. The humor is not over-the-top, the romance doesn't feel forced, both are organic and easily bought by the reader. I look forward to more by this author in the future, and am hungry to devour her backlist. For reviews & more info, check out our stop on the Lady Bridget’s Diary Blog Tour. 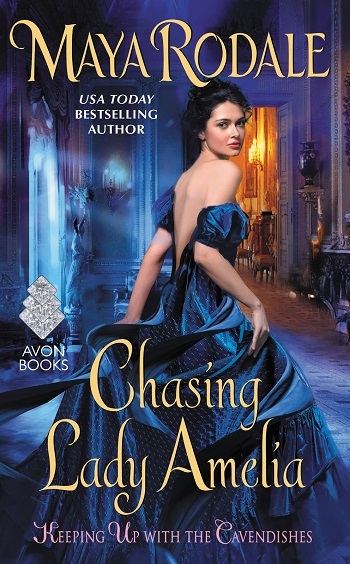 For reviews & more info, check out our stop on the Chasing Lady Amelia Blog Tour. 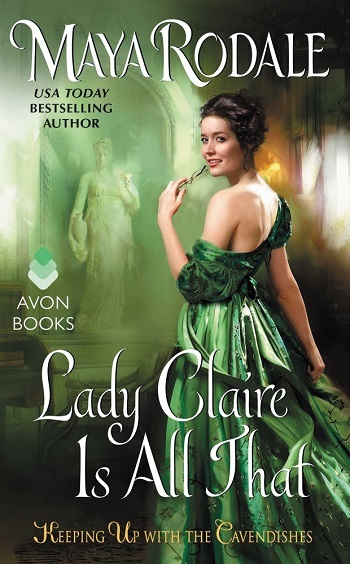 For reviews & more info, check out our stop on the Lady Claire Is All That Blog Tour. 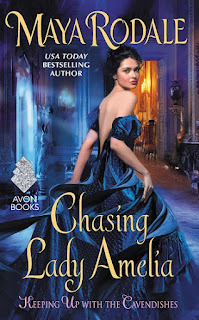 To celebrate the release of It's Hard Out Here For A Duke, Avon is giving away one paperback set of the first three books in the Keeping Up With the Cavendishes series by Maya Rodale. 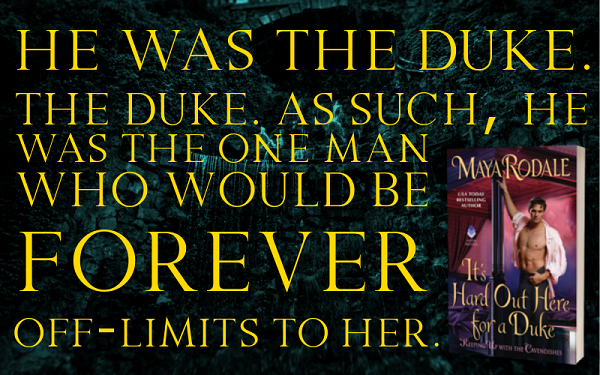 Reviewers on the Wicked Reads Review Team were provided a free copy of It's Hard Out Here for a Duke (Keeping Up with the Cavendishes #4) by Maya Rodale to read and review for this tour.